Join us on Saturday, March 10th for the first SFWDA Meet & Ride of 2018. In case you haven't heard there's fresh dirt to ride on, right here in our backyard! Busted Knuckle Off Road Park, located just 45 miles from Chattanooga is privately owned and in part by a fellow off road enthusiast. BKORP already offers miles of well marked and mapped full size 4x4 trails. CartoTracks has already completed smart maps, so its super easy to navigate. Most of the park can be tackled by a stock Jeep. There are a few challenging rock obstacles and waterfalls which can be quite challenging for those who want to try them. 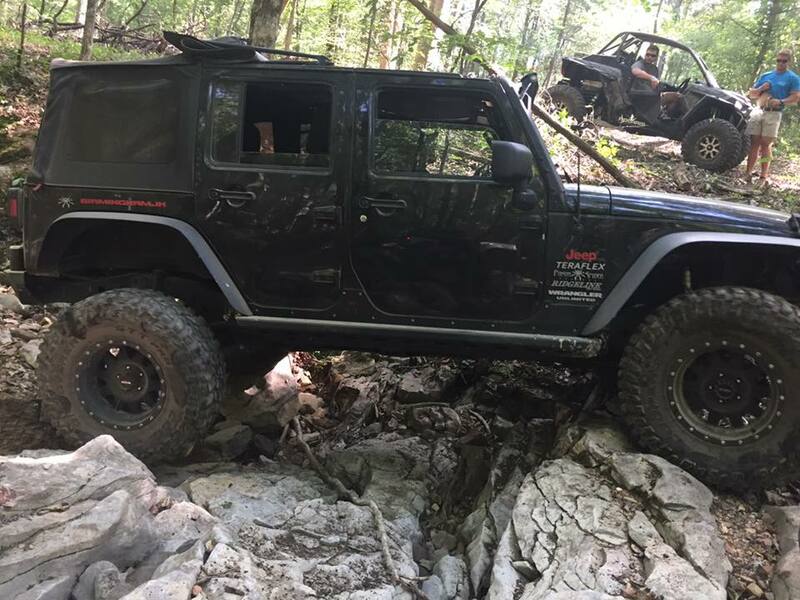 The owners and staff from the park itself along with the local "Scenic City 4 Wheel Drive Club" of Chattanooga, TN will host the event and provide guided Trail Rides throughout "Busted Knuckle Off Road Park". Haven't been yet? No worries, we've got you covered, with guided trail rides throughout the park. Here is what the new BKORP is like? Nestled in a cove just outside downtown Stevenson, sits Busted Knuckle Off Road Park. 600+ acres of classic North Alabama terrain. Rocky hills and rising hardwood benches cover the perimeter of the property with a long, open valley running through the center. We have a little of everything, from casual trails to the most extreme hill climbs in the Southeast. Located right on Highway 117, entrance and exit to BKORP is a breeze, even for semi trucks, with plenty of open area for parking. If you've never been here before, come see what all the fuss is about. If you have been here before, come check out the many new trails! Primitive Camping is available on the park campground. You may arrive on Friday to setup camp and depart on Sunday if you prefer. CartoTracks has just created a brand new, GPS-enabled smart map of the park! Grant funding fuels the success of the DBBB creating new trails and preserved access. Grants are available right now for your local club or group project. Apply Today Online. We hope everyone enjoyed themselves at our Fall 2016 Meet & Ride. Before we move focus onto our Annual Meeting on December 3rd, in which everyone's invited to attend, it's seems worthy to reflect on our success together as an Association for a moment. It is well known how successful this past years SFWDA events were, generating thousands of dollars of revenue for our non-profit association. With the success of these events and through the support of our constantly growing membership base we will never stop fighting the core mission of your Association; Conservation * Education * Recreation. For those that were able to join us at our Meet & Ride this past Saturday you were able to see first hand a rural and majestic part of the Appalachian Mountains. The route there near Slade, KY and the Red River Gorge area that everyone traveled is part of a long term and ongoing project which was made possible by grants from both the Southern Four Wheel Drive Association (SFWDA) and TreadLIghtly. Soon several local off road business's and others in the community stepped up to support as well. With combined financial support and together along with the hard work from volunteers like the Ohio River Four Wheeler's club and Friends of Daniel Boone we have created what is now know as the Daniel Boone Backcountry Byway. These joint efforts have proven successful in reclaiming the nearly 100 miles of the byway into a OHV route for everyone, highlighting the beautiful nature in this area all the while stimulating the economy by attracting many wheeler's and tourists to the area. As members of SFWDA we pride ourselves on being comprised mostly of responsible enthusiasts who practice the TreadLightly principles and we strive to serve as a model of what the OHV community should be perceived as to others. Our core SFWDA mission is in full effect here in the DBBB with grant funds in a variety of ways to include; marking the byway route with kiosks and signage, digitally mapping for smartphones, continual volunteer maintenance of these trails, engineered water and erosion management projects, bridge building, and even routine trash removal. This continued effort is how we plan to protect and preserve access to this beautiful trail. If you missed it this past weekend don't worry, with our continued efforts the DBBB will remain open for generations to come. Feel free to look up the ORFW club (links below) for more info about joining them on a ride of the area. 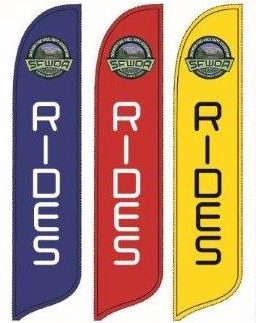 For anyone interested in more rides like this..... We host 4 of these Meet & Ride events across the Southeast Region at various off road trails & parks annually. Subscribe to our newsletter and visit our website on a regular basis at www.SFWDA.org , and also check out our Facebook at www.facebook.com/groups/SFWDA . Sign up with your email address to receive all the latest news and updates from SFWDA. Jeffrey Dozier receives national recognition on the DBBB project, earning the 2016 - UFWDA - Four Wheeler of the Year Award! A well deserved congratulations to another one of our very own SFWDA members. Jeffrey Dozier (Ohio River Four Wheelers / Friends of Daniel Boone) on being selected to receive the UFWDA 2016 - FOUR WHEELER OF THE YEAR AWARD. This award is designed to recognize, on a national level, the overall significant achievements and contributions of individuals to the sport of recreational four wheeling. Jeff, you most certainly deserve it. Your hard work and dedication on the Daniel Boone Backcountry Byway over the past years will continue to benefit generations of off road enthusiasts. Local Clay City Times paper article on the DBBB.